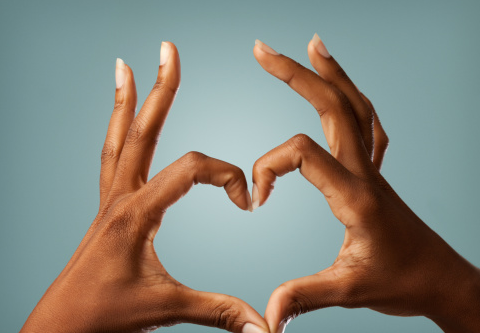 When you think of black love, what is the first thing that comes to mind? Does your heart race rapidly? Or does it crumble like a pillar of salt? Black love is the strength passed down from several generations. It is the sacrifices our ancestors endured for us to survive in this present day. Whether it’s a love between two physical beings or self-love, it is the substance that keeps us going. Black love is the right amount of honey in your tea, sweet! It is comparable to that first sip of coffee in the morning. Black love is the sacrifices your parents made for you, to see you flourish, and the miles our people walked to see change in equality. It’s that love guarded by grandma’s prayers and our ancestor’s spirituals. Nothing is more righteous than our kind of love, it cannot compare. Black love is higher than any other, we are stronger together than we are apart. When you’re infatuated with your significant lover, it is the feeling of never being neglected. Black love is coexisting in each other’s space and always feeling safe and protected. The power that unites us together is a force to be reckoned with. It is more than just infatuation, but rather the power that combines two halves into a whole. Especially when you come from similar backgrounds and face the same struggle of being black in this society. It is that feel good music from those like Marvin Gaye and The Temptations. That sunshine on a cloudy day kind of love. It’s that love that keeps you up at night thinking about that one, the one you’ll fight for and do whatever it is to keep. Black love between two lovers is a game of give and take, and working towards a greater good in your relationship. This generation lacks so much confidence in love, we are so focused on what the next best thing is rather than the love that is staring in our faces. We have been swallowed and consumed up by the demon called “pride.” Surely love is complicated, there will always be disagreements, arguments and quarrels but strength and patience will always balance things out. With black love, comes self- love. As a black girl, we are often “You’re not good enough.” Whether is directly or indirectly. They mock our aesthetics just to steal them and make them ‘cool.’ From the cornrows we rock, to our genetic features; We are natural born trendsetters. Self-love comes from loving the skin you’re in, the different shapes, sizes, hues and flavors we come in. It is looking at yourself in the mirror and accepting every flaw you carry and not changing who you are because of what “they” say. It is knowing you’re beautiful both when you’re BEAT TO THE GAWDS and when you have on that green tea mask with a bonnet on. Purify yourself girl! Black love is confidence; we all have it in us. Know that you are not the same as the next woman, you are your own kind of beautiful. There is so much heat in that four letter word, but we we’re bred to love; it is embedded in our DNA. The most important ingredient in our culture is the power of love. Many will experience the energy and the feeling it gives. We must not take it lightly, but rather as a gift passed down from many moons. I ask, what is black love to you? 1 Comment on "The Art of Black Love"